As always, before making any significant changes in Everhour we are sharing our thoughts with you, our super loyal customers, to make sure we are on the right track. The huge changes are ahead. For the very first time we have introduced integrations in Everhour more than a year ago. 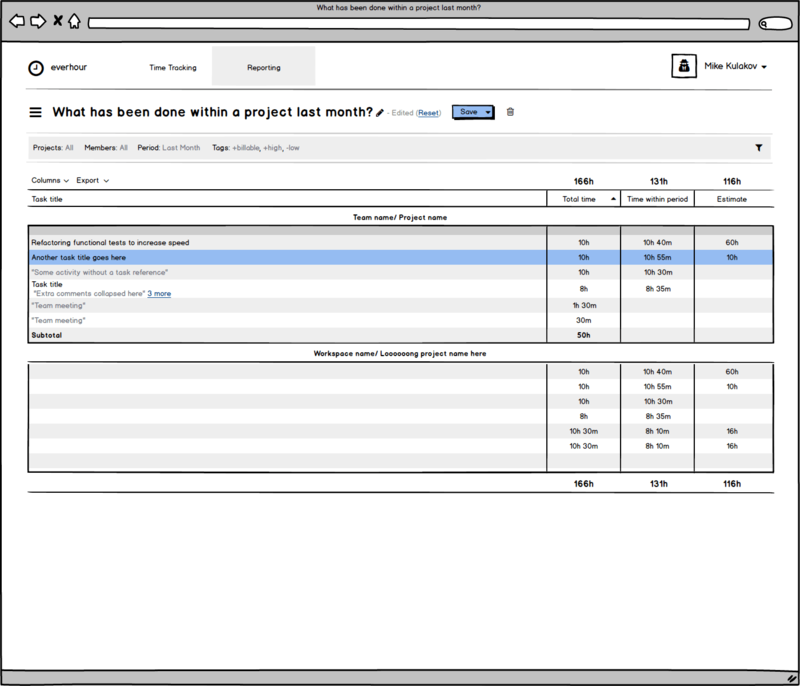 At that time the idea was simple: “What if not just reporting the activities but making users able to refer to their existing tasks in third-party project management tools!” This is how synchronization was born. Then we thought: “And what if we can enhance these third-party tools with all the necessary time tracking features! Right there!” Soon afterwards, we introduced our browser extension. 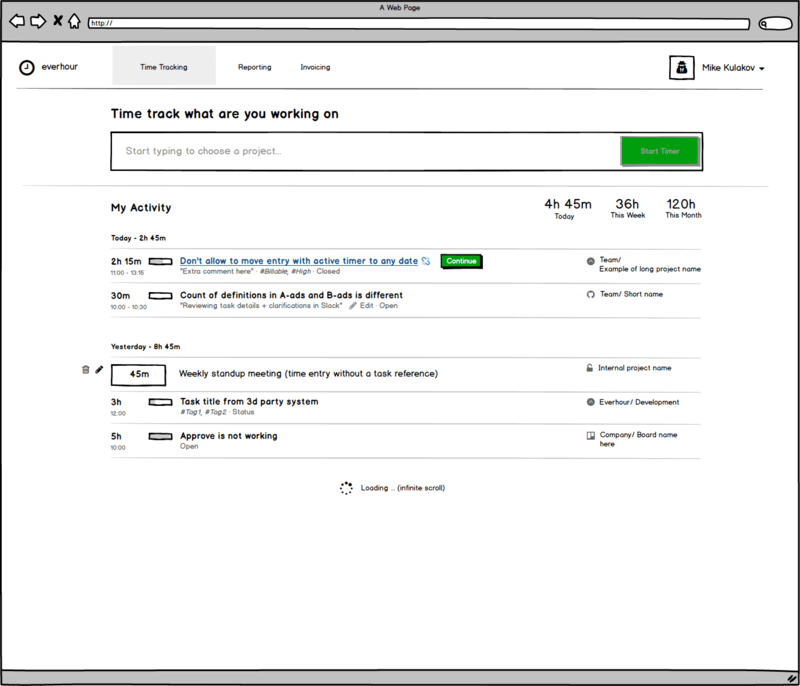 The first tool we integrated with was GitHub, as we were actively using it internally. And that was the exact time we were barking up the wrong tree. What’s the common number of repositories (= projects) a small company have? How often are they created? “WHEW, pretty rare” we thought. For this reason, we didn’t bother that you must first create a project in Everhour, and then link it to the project in GitHub. Just a few minutes once a month or even rarer. The real problems began when we started to integrate with systems like Asana, Basecamp and Trello. In these cases the “project” is a more flexible and general entity. The project can represent a client (Google), activity (Marketing, Development), campaign (Blackfriday Sale) or even a feature (Integrate X with Y). In other words, projects are very common and there are many. With our approach users have to keep in mind constantly that if they have a new project, they need to create it in Everhour. The majority forgets to do it that is why we were missing a timer button. Furthermore, all new users struggled with signup complexity. It requires some diligence to transfer your existing structure from external tool into Everhour. It should be about something different. 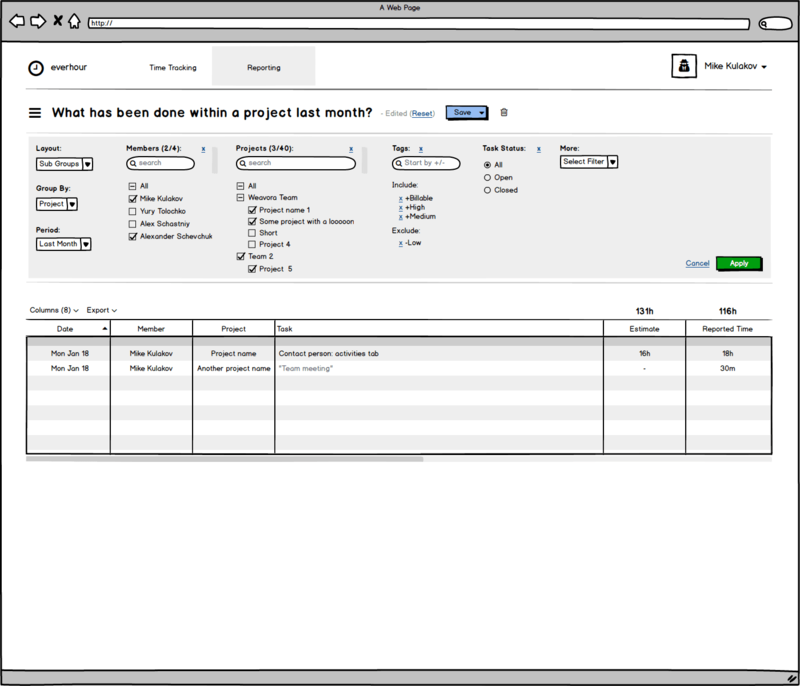 We automatically synchronize all the existing parts of the structure – projects, tasks, team members – and let the user track time right away. Each team member (upon standalone invitation) clicks the same button to log in. During first login procedure, we’ll automatically associate him with the right team and authenticate. That’s all. 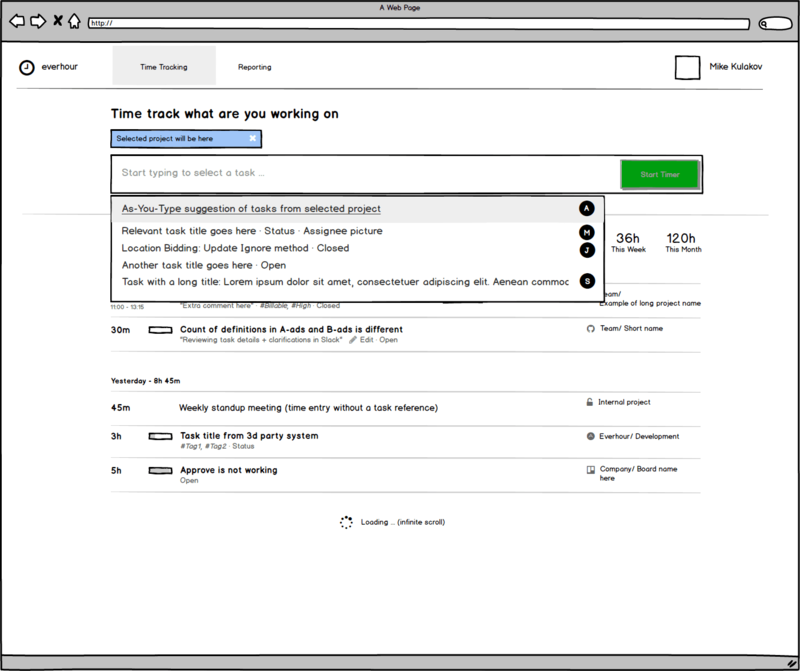 In future, when there is an action in Asana, Everhour detects and handles it automatically. No need to duplicate same steps. Ok, what’s about existing customers? Right, once the new version is ready, all new users will only be able to sign up there. At the same time, the old version will keep working. The migration will take place gradually and consistently. We will do a script that transfer all the clients’ existing data into a new structure, so no data will be lost. Yes, it sounds like a perfect scenario, but there is always a place for some sort of force majeure (let’s be honest!). Therefore, migration will be done in portions. If something goes wrong, we will be able to focus on each individual case and solve the problem as quickly as possible. Here you can sign up for an early access to Everhour 2. The second important issue is our reports. Yes, we have plenty of combinations, but sometimes it’s not easy to find the right one. In addition, all of them are static, so you can’t change their structure e.g. add a new column or change the order. In the new version we want to go the other way. 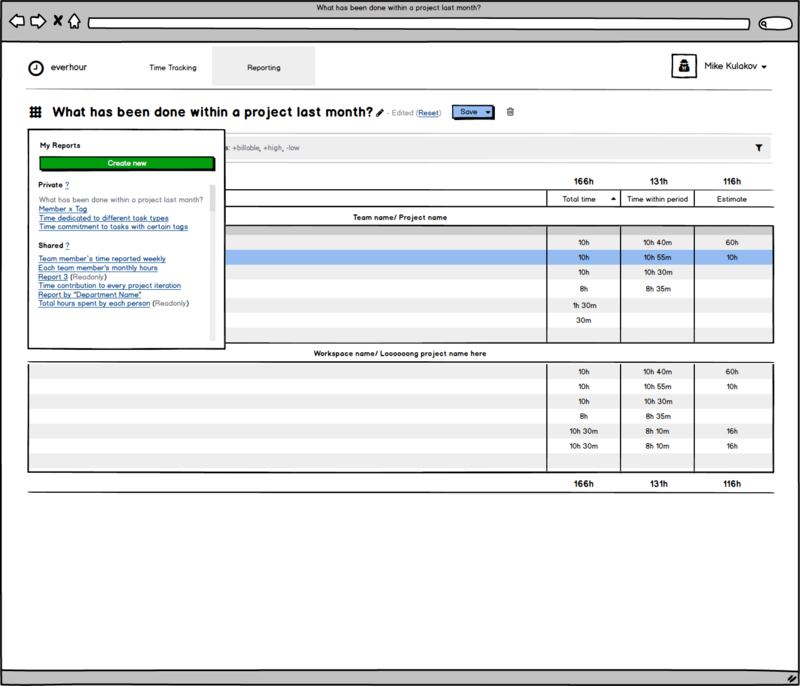 You’ll have a few predefined reports (just as an example), but you are free to change them, create new and save. We have already finished with new synchronization engine. Looks pretty good, it is left to verify some extreme cases. In addition, we are almost done with new UX for the major pages and some early working prototypes, so we can try them internally and make sure they are easy to use. In the near future our main priorities will be design and assembling all standalone pieces. We think the first beta version will be available in about 3 months. During next weeks, we planned to come up with some more articles, to specify certain issues and the way we addressed them in a new version. Hope for your interest and participation in the discussion. Everhour Product Owner & a tireless driving force of the company. Constantly in search of new opportunities, responsible for the growth strategy as well as the team’s motivation and integrity. Have questions or want to learn more? Contact Us!